valencia ivory chinaValencia American Ivory China from Splendids offers high quality and classic styling that evokes quiet sophistication. 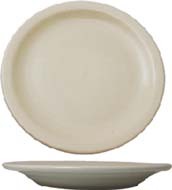 Its versatility makes this dinnerware ideal for home, restaurant, and corporate use. Dishwasher safe, microwave safe, and oven safe. 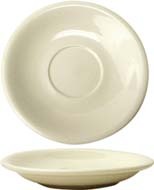 Valencia Dinnerware is vitrified, making it virtually unbreakable for restaurant use. Valencia American Ivory White China from Splendids offers high quality and classic styling that evokes quiet sophistication. Versatile and durable, Valencia Dinnerware is ideal for home, restaurant, and corporate use. Mix and match dinnerware pieces for a stunning and unique table setting. 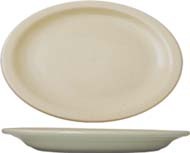 Dishwasher safe, microwave safe, and oven safe, Valencia white dinner plates, platters, saucers, fruit and grapefruit bowls and mugs are virtually unbreakable and will last for years. Our Valencia dinnerware is a long-lasting favorite that's casual enough for everyday use. Dense and durable, these generously sized pieces are the ultimate basic for daily dining. Our dining sets can be even paired with other pieces for a unique and attention-getting table presentation, like our onion soup crocks to add a neutral color to your place settings.